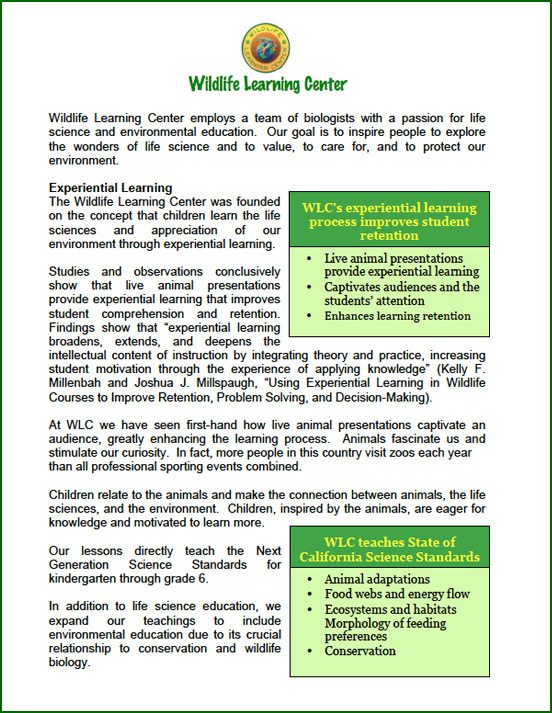 WLC offers a wide variety of on and offsite education programs, each incorporating the Next Generation Science Standards for Life Sciences that are aligned with the Common Core State Standards..
WLC’s biologists enthusiastically teach life science concepts at the level of understanding of your students. Our presentations are interactive and fun so students better retain what they have learned. Our goal is to spark your students’ passion for the life sciences by bringing education to life! 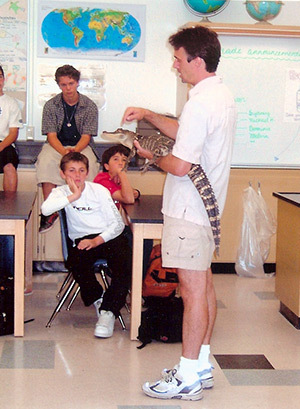 WLC offers several different themed presentations that showcase a variety of animals. 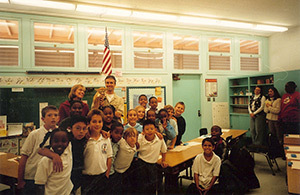 Invite us to your school for an assembly or classroom visit that students will never forget! 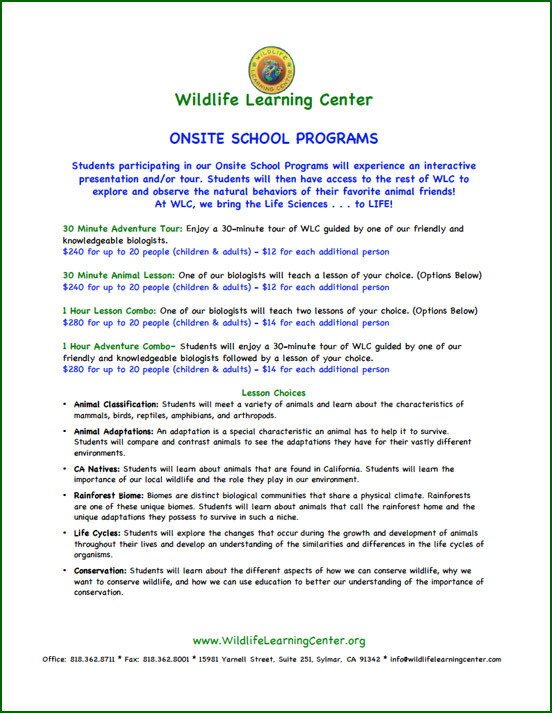 You can also visit WLC for the most memorable field trip of the year! 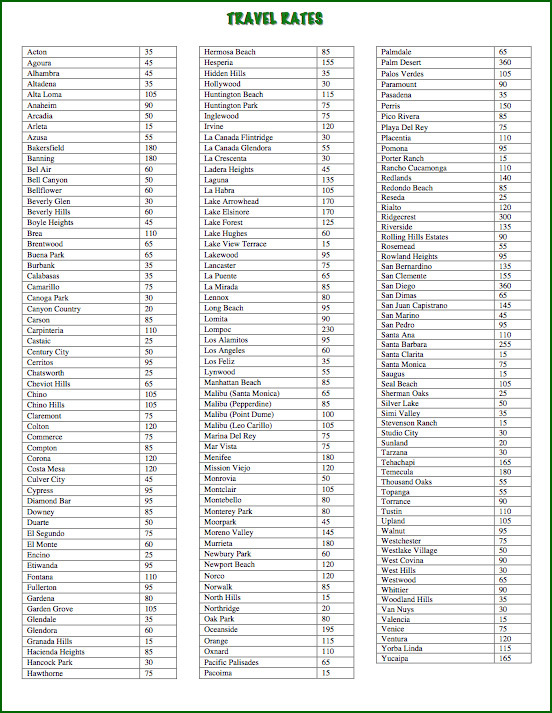 WLC offers eight school programs, custom programs, and life science class series. 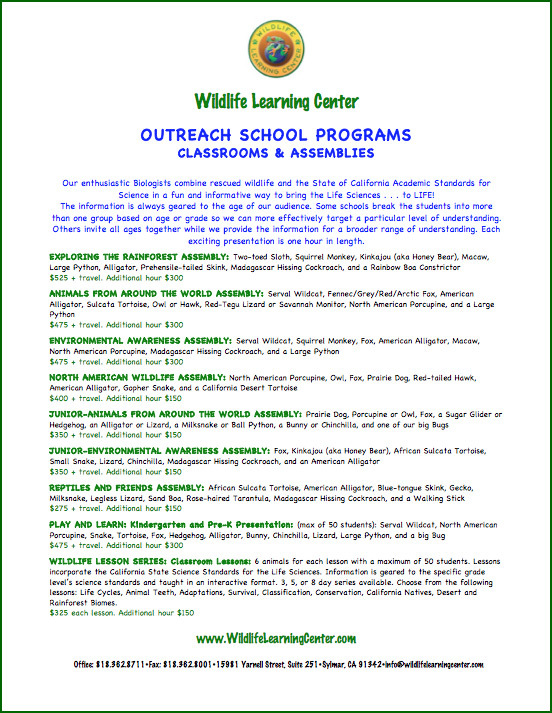 WLC offers presentations for after school enrichment and GATE programs, at risk teen programs, spectrum and special needs and home schooling.